They say it’s everyone’s favourite time of the day. 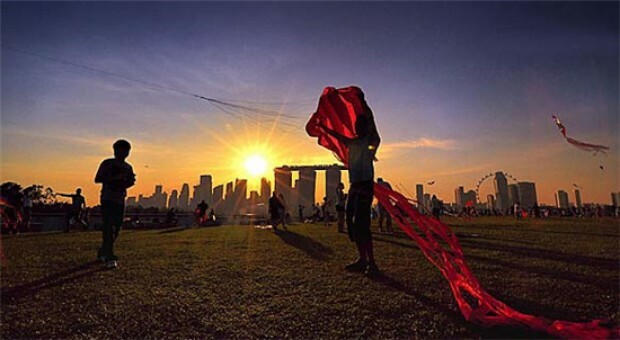 Here are 12 beautiful places where you can catch the sunset in Singapore. There’s something pretty alluring about watching the sun sink down the horizon while the red hues deepen, all within minutes before darkness sets in. And the best part? This magical phenomenon happens everyday. 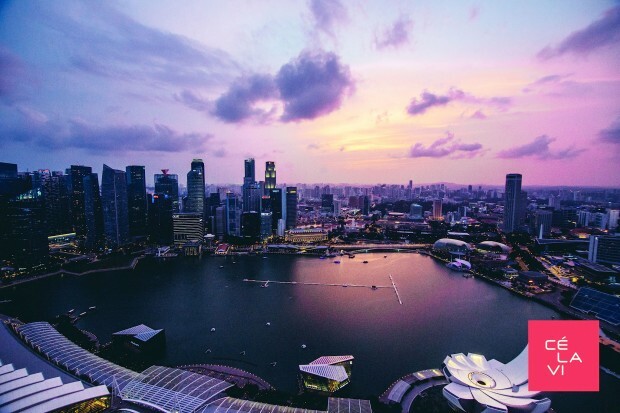 Despite the mildly claustrophobic geography of this concrete jungle we call home, there are actually many impressive spots where you can catch the sunset in Singapore. 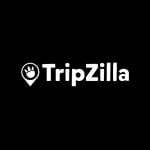 From popular waterfronts to hideouts you probably never knew about, this list will arm you with the best spots to witness the most beautiful time of the day at its best. Or… to impress that date of yours. Remember to time your visits to this places properly. 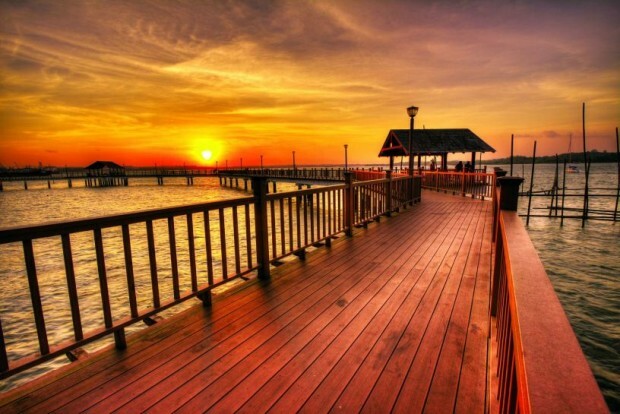 Chalets and nasi lemaks aside, Changi has a beautiful boardwalk that many of us don’t know about. 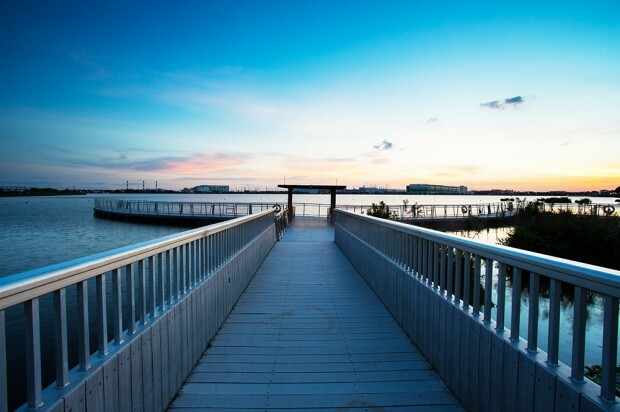 Nestled at the western end of Changi Point, this two kilometres long boardwalk takes you through lush stretches of flora and fauna, the picturesque Changi Beach, and finally, a romantic over-water stroll along Sunset Walk. Punggol, arguably the beauty queen of all heartland estates in Singapore. 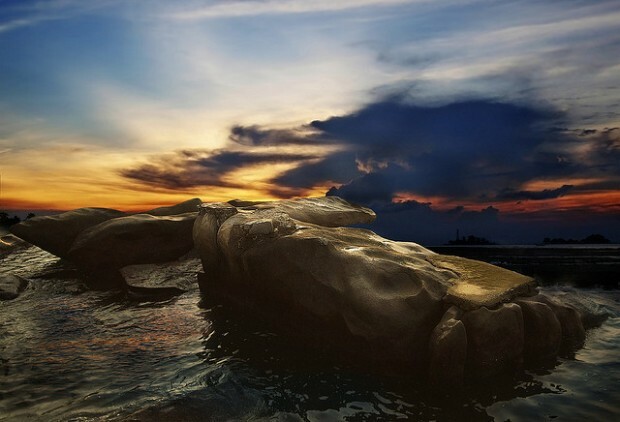 Naturally, it makes one of the best sites to behold the charm of the sun’s nightly retreat. 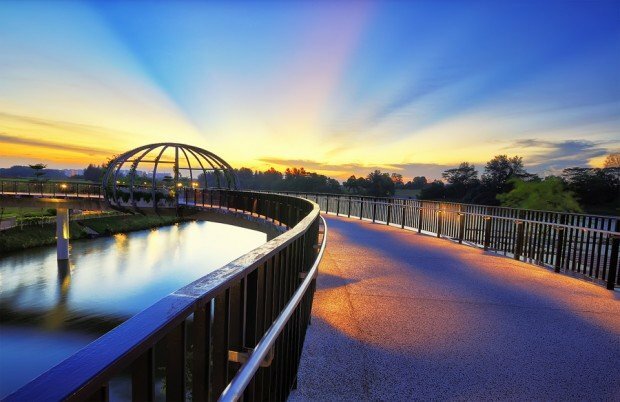 At the western end of Punggol Waterway Park is Jewel Bridge, which illuminates gloriously before the saturated sky as the sun sinks. Also, don’t miss out the park’s four other bridges while you’re here, namely Adventure Bridge, Wave Bridge, Kelong Bridge and Sunrise Bridge. And of course, every Singaporean’s favourite place for a temporary retreat from the daily grind. Besides being a popular place for recreational cycling, this island also makes a tiny piece of heaven when the sun starts to recede. 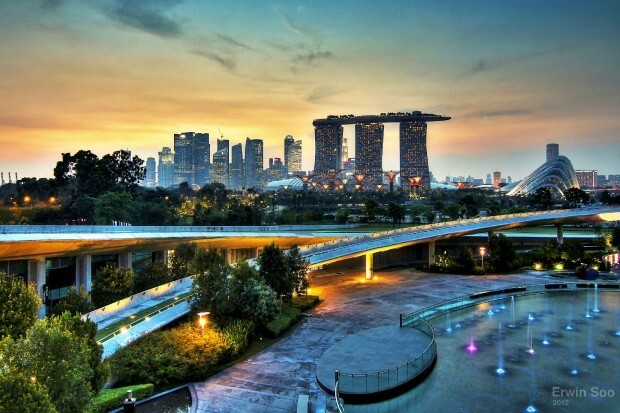 Singapore’s city skyline is a favorite sight for many of us. Now combine that with a kaleidoscopic splash of watercolour reds, blues and oranges. Located in the heart of downtown Singapore, Ce La Vi’s al fresco skybar offers patrons a panoramic sunset view as they chill out and sip on their cocktails. 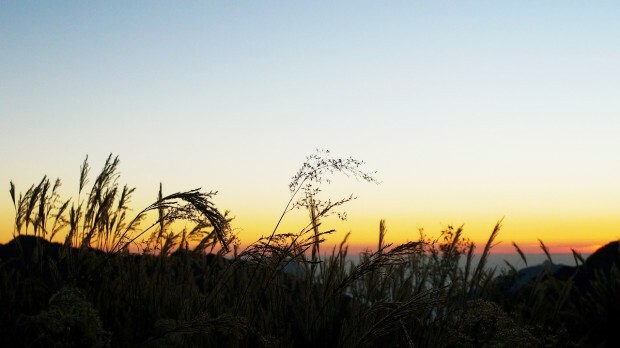 Tucked away in the far-flung western Singapore is the not-so-secret Tuas lalang field, which isn’t only a popular spot for wedding shoots, but also doubles up as the perfect place to catch the sunset. The field’s vast open space makes it an ideal site for an unblocked view of the sun’s impressive light-show every evening. 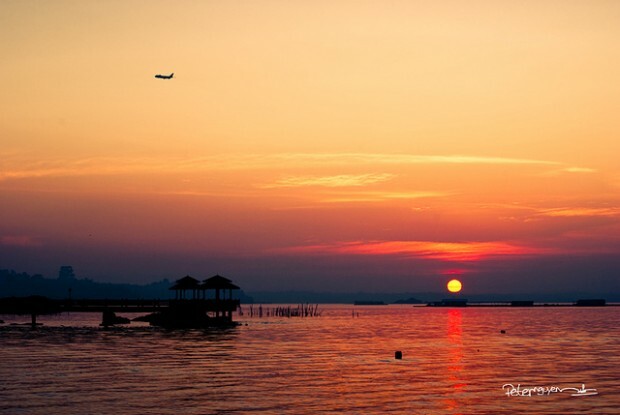 Yishun Dam is well-known to many as a fishing spot, or a favourite hangout for car enthusiasts, or an infamous haunted site… But surprisingly, Yishun Dam is not so much known to locals as the perfect place to catch the sunset. So if you happen to be in the northern region of Singapore, head over to this underrated gem for an evening to remember. As the last bits of daylight sink, the lone pavilion perching over Lower Peirce Reservoir starts to filter its dramatic backdrop and outline a reflection onto the waters below. And if you’re feeling all artsy-fartsy, this picturesque scene also makes a perfect one to recreate on a canvas. At the north of this neighbourhood park is a 1.5 kilometres promenade, which is quite a sight at sunset. 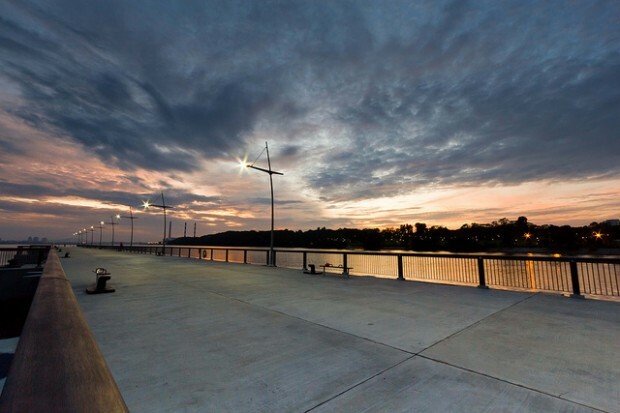 Visitors are able to bask in an unobstructed waterfront view as the sun makes it descent. 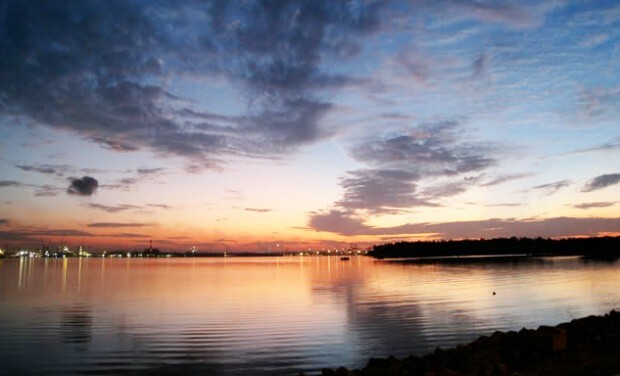 Stripped away from the bustle of downtown Singapore is Ulu Pandan Reservoir, a favourite jogging path for many of its nearby residents. The massive water body also offers a dreamy sight whenever the sun greets its horizon, guaranteed to satisfy all romantics out there. 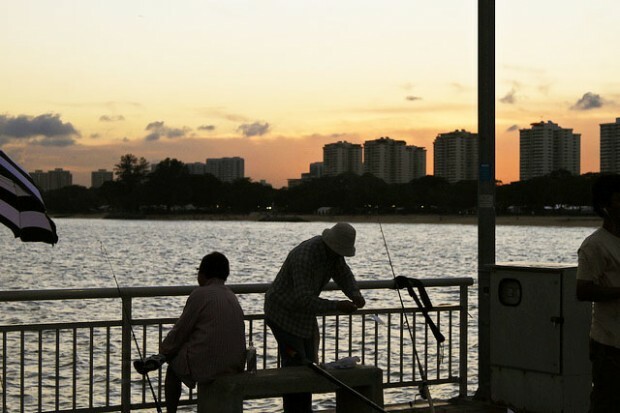 If you’re an eastie, Bedok Jetty is probably known to you as a fishermen hangout. But there’s actually more to this quiet jetty than the idyllic wait of tugging rods. 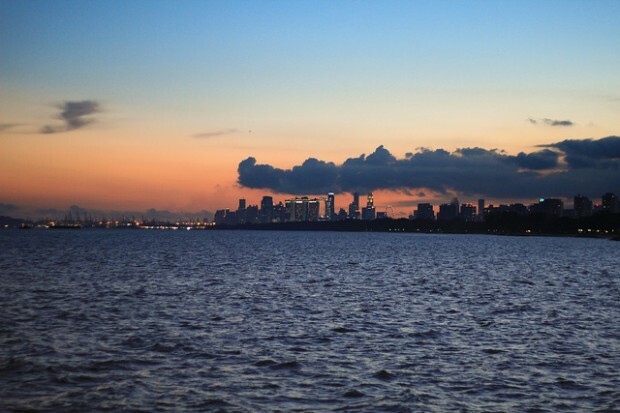 Perched atop the East Coast waters, Bedok Jetty offers a panoramic view of the sunset’s orange glow over Singapore’s cityscape. 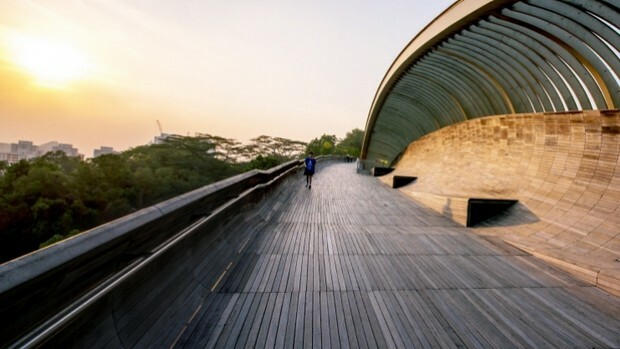 Nothing spells a romantic date quite like an evening at Henderson Waves. 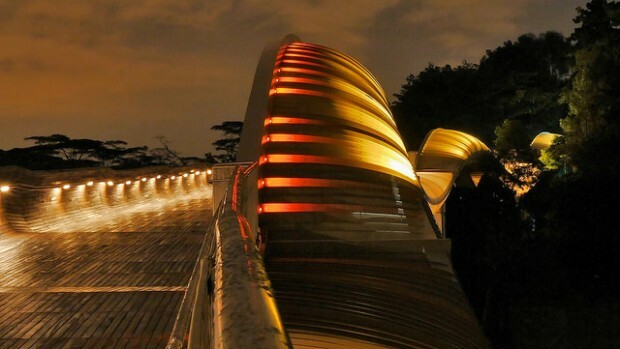 This bridge mimics the unique shape of a wave, of course, and is a popular spot for joggers, family and couples. Not only does it offer a stunning view of the the sunset from an elevated height, the bridge also lights up in the most beautiful way as dusk falls. And as every photographer has learnt the hard way, the ineffable beauty of a sunset is impossible to be captured on film. Visual beauty of a sundown aside, bathe yourself in the tranquil, euphoric, and almost tear-jerking phenomenon of the sun’s last moments. So do yourself a favour — take some time off this evening and fathom how beautiful the world can be, even if it’s just for a short 30 minutes.